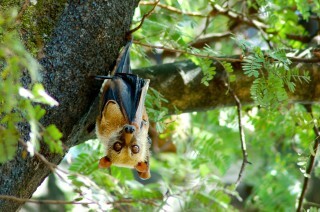 Tropical forests are filled with potential hazards. Sometimes the possibility of a spiky football-size fruit falling on your head poses an added danger. Species like the Malayan sun bear are willing to risk it in exchange for a nutritious meal. Sun bears are named for the yellow crest on their chest. At about half the size of American black bears, they are the smallest of bear species. Like black bears, they eat fruit. 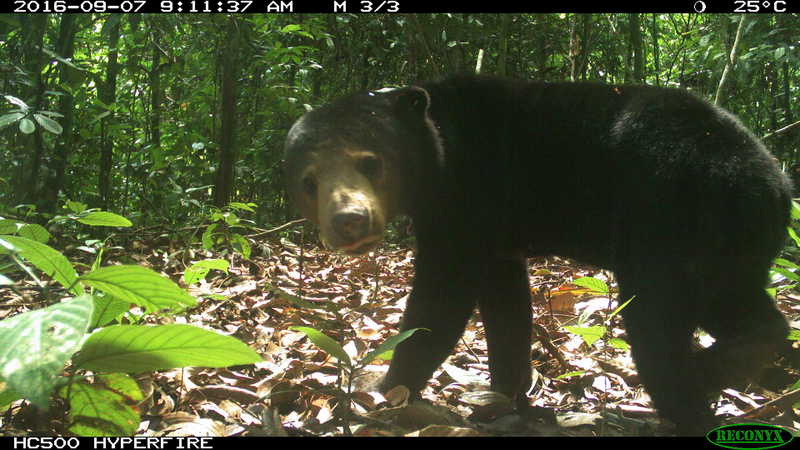 This bear was detected by our camera traps in Borneo near a fruiting durian tree. Durian fruits (aka the “king of fruits”) can weigh up to seven pounds and grow to nearly 12 inches in length. They have a distinct odor sometimes described as rotting onion. That stench attracts all sorts of animals to durian trees and the tree benefits as well. When sun bears eat durian fruit, they ingest the seeds. 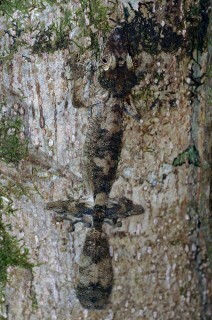 By traveling to other parts of the forest and defecating those seeds, these animals provide opportunities for seed germination in new areas. Such bear-fruit interactions are important for tree regeneration and forest biodiversity. 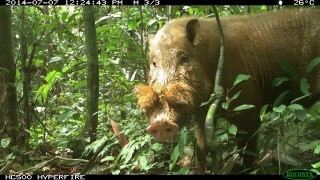 Unfortunately, I was never lucky enough to catch a glimpse of this elusive species in person while investigating animal-fruit interactions in Borneo. But fortunately, I never sustained a head injury from falling fruit while working in the forest.